Actor Matteo Guidicelli, foodie genius Erwan Heussaff, and influencer-entrepreneur Nico Bolzico joined the ranks of The Philippine Coast Guard to help safeguard the welfare and maritime integrity of the Philippines. 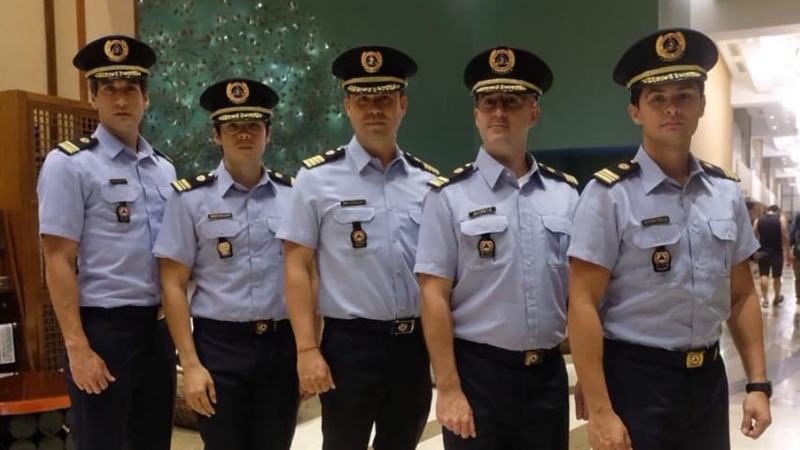 They officially joined the auxiliary group of the Philippine Coast Guard and got sworn in to help save the Philippine seas. With businessmen Jacques Branellec and Julien Agosta of Jewelmer, the personalities committed to being superheroes of our oceans. Nico goes on to say: “These are our responsibilities as members of the PCGA: 1) Maritime Safety; 2) Maritime Search and Rescue; 3) Marine Environment Protection; 4) Youth Environmental Education.” It sounds like such a noble list of responsibilities, so we’re impressed personalities are stepping up for such a cause. Of course, though, in very Nico fashion, he kids around and lists other reminders that he feels are relevant for PCGA volunteers: “1) Rambo is not part of the PCGA; 2) You can not get a bazooka and shoot any illegal foreign fishing boat on the coast of The Philippines; 3) You can not tell people you are equivalent to Aquaman in the Philippines; 4) Apparently, the First Rule of the PCGA is NOT ‘you do not talk about the PCGA’; 5) The PCGA is not an affiliate club of the #BulliedHusbandClub; 6) There is not a PCGA signal that is reflected in the sky when we need to gather together; 7) I can not be called ‘Coast Guard Sheriff;’ and 8) The PCGA members are not obligated to come to my birthday party.” Lol. Nico does have a way of spinning things to draw hilarious attention to efforts that make absolute sense. His humor makes us embrace advocacies and causes with much more light-heartedness and zest. So, what DO you do after? We dove deeper and found out what it really means to be a PCGA volunteer. The auxiliary unit of the PCG “assists in the promotion of safety of life and property at sea, in the preservation of the maritime environment and its resources, the conduct of maritime search and rescue, engage in maritime safety activities, such as monitoring of aids to navigation equipment and such other activities that enhance maritime community relations which include civic action, participation under the National Service Training Program (NSTP), youth development, recreational safety, and other related activities.” A certain roster of requirements and amount of training are necessary to be a full-fledged PCGA member. We’re glad that these personalities are taking time out to acknowledge how important it is to save our seas. It’s a bonus that these uniform-clad men look amazing in their official garb, too!